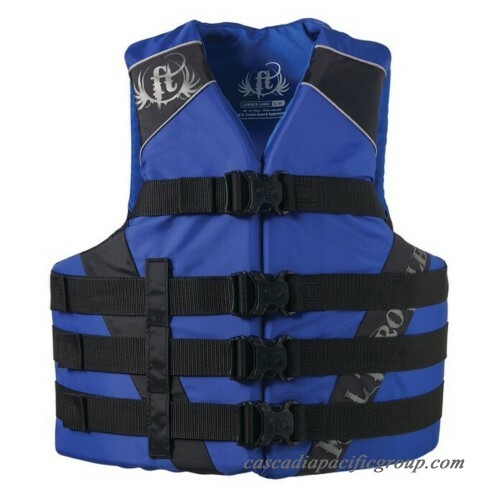 This Full Throttle Adult Nylon Watersports Vest makes a wonderful choice for adults who are enthusiastic about water sports. 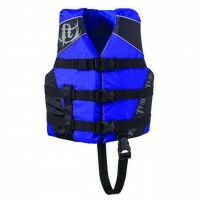 Made from a unique combination of denier nylon and denier poly-twill, this accessory is designed to stand up to the elements. 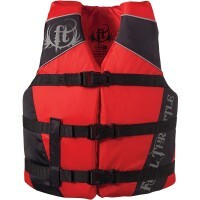 This Full Throttle life vest features floatation foam that is durable and conveniently lightweight so it won't add much bulk to your load. 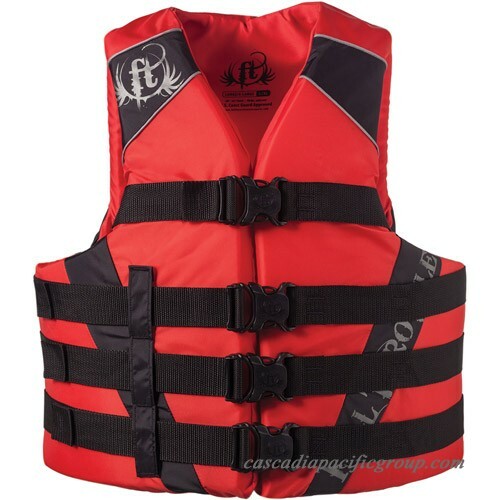 It comes with adjustable belts, which make it easy to fit. 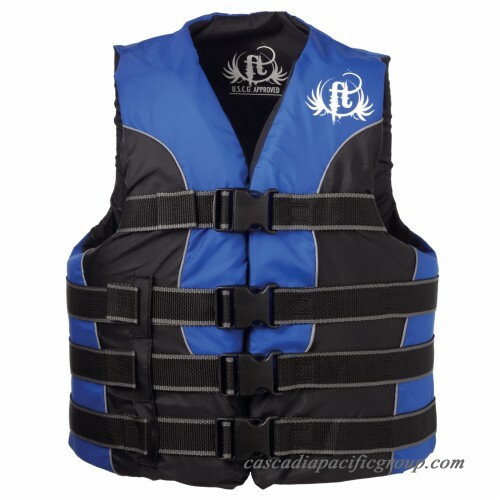 This adventure vest also showcases a chest strap to keep it from riding up while in use. This item is for both men and women. 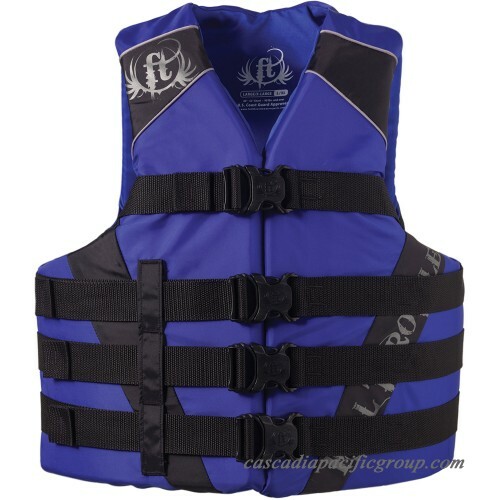 Full Throttle is a premium brand that targets avid water sports enthusiasts of all ages and fuels their passion for water recreation activities. The brand offers new technology, innovation and adventure to provide a great on-water experience for the recreational enthusiast and augments their active lifestyles. 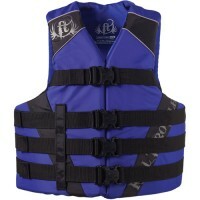 Full Throttle is a premium brand that targets avid water sports enthusiasts of all ages and fuels th.. 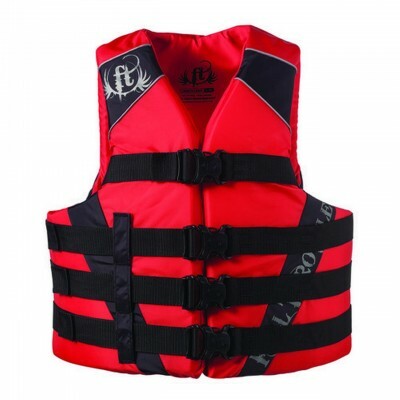 This Full Throttle Child Nylon Watersports Vest makes a wonderful choice for children who are enthus..